Hagen Hopkins/GettyJacinda Ardern in October 2017. She told Sky News Australia on Thursday that Baby Neve “is doing really well,” and described her partner Clarke Gayford as a “very hands-on parent.” Gayford, a fishing TV show presenter, will care for Neve full-time. She added: “First week back, I’m going to be focused on getting straight back into it,” she said. She also told the news site she would bring Neve to the United Nations General Assembly in September, where she is scheduled to speak. It would be Neve’s first foreign trip. During her six-week absence, New Zealand’s coalition government was run by Deputy Prime Minister and Foreign Minister Winston Peters. Despite being acting prime minister for six short weeks, 72-year-old Peters courted various controversies including accusing Australia of copying New Zealand’s national flag and demanding that it change its design, saying on radio didn’t like seeing a “multitude of cultures” in New Zealand, and fat-shaming a colleague during a parliamentary debate. Peters can be heard saying “throw fatty out” around the 4-second mark in the video below, which was taken on his last day as prime minister before Ardern’s return. 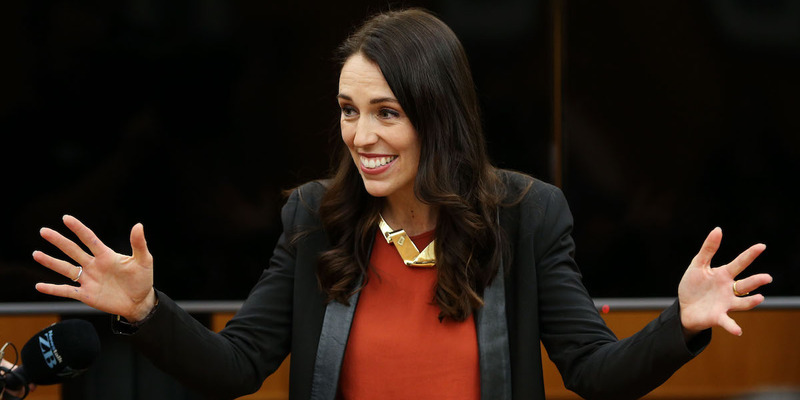 Ardern said she found out about the pregnancy in mid-October last year – six days before she was confirmed as Prime Minister after last year’s elections.